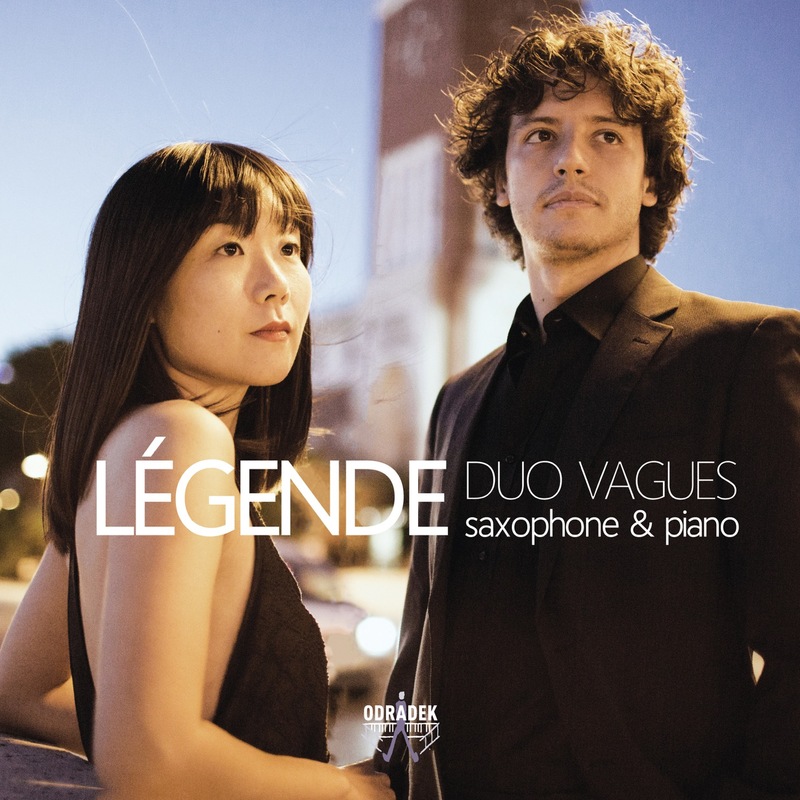 Sardinian saxophonist Andrea Mocci, one of the most accomplished musicians of his generation, and the brilliant Japanese pianist Megumi Nakanomori, form Duo Vagues, and present their debut album Légende. 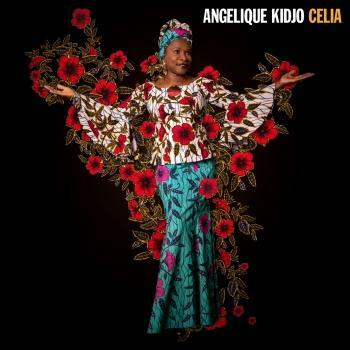 Their cultural backgrounds and personalities are as distinct as the contrasting colouristic palettes of their instruments; the saxophone itself straddles the worlds of classical and jazz. Yet this CD represents a fusion of all these apparently conflicting elements, highlighting music’s power to unify cultures, timbres and genres. Florent Schmitt’s Légende is at the heart of this disc and their formation as a duo. Its continuous motion, rising from moments of profound calm to ebullient overflowing crests, suggests “vagues” – waves, inspiring their choice of name. Schmitt’s Légende spans lyricism and impetuosity, the saxophone’s long-breathed, virtuosic flourishes occasionally slipping into the smoky world of jazz, while the piano’s rich harmonies anticipate Messiaen. Jolivet’s Fantaisie-Impromptu reflects his immersion in both atonality and jazz, its sinuous saxophone line and enigmatic, tonally-ambiguous piano gestures juxtaposed with jaunty, jazzy material reminiscent of Gershwin. Milhaud, a master of comic irony, takes us on a witty adventure to South America in Scaramouche – the piece with which Andrea Mocci made his professional debut, in the prestigious Sala Verdi in Milan, in 2011. In common with Milhaud’s piece, Françaix’s 5 Danses Exotiques, dedicated to Marcel Mule (who premiered Schmitt’s Légende) embrace Latin American styles. Creston’s debonair, vivacious Sonata is a piece which Duo Vagues has been playing for years, yet which always yields something new. Hindemith famously wrote sonatas for almost every orchestral instrument, although the Sonata recorded on this disc began life as a piece for alto horn. The saxophonist is called upon to read a poem by Hindemith during the piece, after which the two instruments are engaged in fascinating dialogue, and it is this sense of dialogue, between saxophone and piano, between different styles, and between the musicians themselves, that is so integral to this debut disc from Duo Vagues. He has started his music studies since he was six, graduating with the highest honors in Saxophone and Chamber Music at the conservatories L. Canepa in Sassari and G. Verdi in Milan. At the same time, he also studied composition and jazz, which led him to perform in several festivals in major European cities (Gent, Dublin, Brescia, Helsinki, Tallinn, Vilnius, Belgrade, Lisbon, Montpellier, Dortmund, Tilburg, Brussels, Strasbourg) His main inspiration comes not only from the high example given by many classical saxophone masters, such as E. Rousseau, J.M. Londeix , A. Bornkamp, M. Marzi, P. Portjoie, C. Delangle, Quatuor Habanera, but also from big names in jazz music such as D. Liebman, B. Mintzer, M. Brecker, and at last J. Carter. Andrea Mocci has won several national and international competitions as a soloist and as a musician in chamber ensembles. Please find below some of the competitions he has participated in and won: Premio delle arti 2007, Ministero dell’Università e della Ricerca – Italia, Premio Città di Treviso, Concorso del Lago di Como – città di Bellagio, Concorso “Rospigliosi” – Lamporecchio, Concorso Nazionale di Esecuzione Musicale “Città di Piove di Sacco”, Premio Crescendo - Firenze. He made his debut as a soloist in Milan in 2011 with the execution of Scaramouche, suite for saxophone and orchestra by D. Milhaud, in the prestigious Sala Verdi of the Conservatory. Being in first line for the promotion and diffusion of new music, he closely works with composers. In fact, so far this intense collaboration has led to the birth of about 13 new compositions dedicated to him for saxophone solo, saxophone and piano, saxophone quartet, saxophone with electronics, mixed ensemble with saxophone. He has often collaborated as a soloist or an orchestral with many italian orchestras (Orchestra G. Verdi di Milano, Orchestra del Teatro Olimpico di Vicenza, Orchestra del Teatro di Trieste, Divertimento Ensemble). His projects are fully focused on a concertistic, discographic and educational-musicological activity. 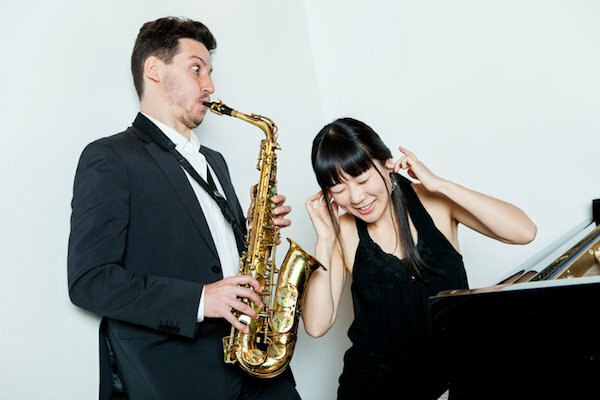 More in details, with the "Duo Vagues" featuring Megumi Nakanomori at the piano and with the Milan Saxophone Quartet, there is a work in progress in recording and musicological productions on historical repertoire and the New Music. was born in Japan and began to play the piano at the age of four. She graduated in 2007 at the Tokyo National University of Fine Arts and Music and started to play at concerts, indeed performed Schumann’s Concerto in A minor (Op. 54) and JS Bach’s Concerto in D minor (BWV1052) with several orchestras in Japan. In 2011 she began her European career winning the first prize in the Beltrami chamber music competition at the Conservatory G. Verdi with the Amadeus Trio. In the same year the trio made their debut concert at the one of important hall aula magna of the University of Milan. In 2012 she began a collaboration with saxophonist Andrea Mocci that leads to the establishment of the "Duo Vagues". They made their debut in the same year at the Festival of the Five Days of Milan and Sounds French, international exhibition. In 2012 Duo Vagues won the first prize at the International Competition of Chamber Music of Bellagio and at the International Competition Chamber Music of Camaiore, Guido Papini. In 2013 Duo Vagues held a recital in Japan. From 2013 to 2014 Megumi Nakanomori was a member of the Ensemble of the Academy of the Scala Theater. With the Ensemble she performed in several concerts in Italy and the other countries. In 2013 she attended Britten’s Opera The Little Sweep directed by Bruno Casoni at Scala Theater and also in 2014 she performed JS Bach’s Concerto in D minor (BWV1052) directed by David Coleman in the public performance of three dance academies: Scala Theater, Paris Opera e Bolshoi Theater. In 2015 Megumi Nakanomori won the first prize in the Spinea International Music Competition and in the Cortemilia International Music Competition. Megumi Nakanomori has performed, especially with chamber music, in different halls and music festivals, including; Scala Theater, Il Piccolo Teatro , Festival di Milano Musica, Auditorium degli Amici del Loggione, Spazio Sirin, Casa di Riposo Musicisti Fondazione Giuseppe Verdi, Aula magna dell’Università degli Studi di Milano, Sala Verdi del Conservatorio di Milano, Auditorium Roffredo Caetani del Conservatorio di Latina, Salone Estense a Varese, Auditorium del Conservatorio di L’Aquila, Auditorium del Collegio del Mondo Unito dell’Adriatico DUINO a Trieste, Strathmore Concert Hall (North Bethesda, conductor Daniele Rustioni), Holland Festival (Amsterdam, conductor Susanna Mälkki).